Fall Convention: Save the Date! The mission of the Washington State Psychological Association is to support psychologists and psychologists-in-training, to promote the practice of psychology, and to ensure continued education and advancement of knowledge within the field of psychology. Ensuring the advancement of academic knowledge within the field of psychology by providing access to continuing education classes, seminars, and workshops on the forefront of the profession. Assisting members with information and best business practices to address a dynamic and changing healthcare environment. 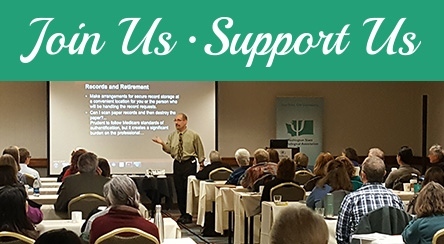 The Washington State Psychological Association encourages the participation of all psychologists and affiliates regardless of age, creed, race, ethnic background, gender, socio-economic status, region of residence, physical or mental status, political beliefs, religious or spiritual affiliation, and sexual or affectional orientation. To this end, WSPA commits to multiculturalism. WSPA membership comprises a diverse group of psychologists who express psychological expertise in a variety of settings. Despite our best intentions, WSPA members also recognize that we may hold unintentional attitudes and beliefs that influence our perceptions of and interactions with others. We are committed to increasing our knowledge of, our awareness of, and our dedication to all aspects of diversity and the unique qualities of different cultures and backgrounds. We are also dedicated to increasing inclusion among all our constituents and to reflect this in the leadership positions within our organization. WSPA aspires to increasing consciousness about aspects of diversity, previously unseen or unacknowledged in our culture. In this spirit, we are committed to collaborating with multicultural groups to identify and oppose all forms of prejudice as we seek to promote diversity in our society. To this end, we are dedicated to increasing our multicultural competencies and effectiveness as educators, researchers, consultants, administrators, policy makers, and practitioners. Founded in 1947, the Washington State Psychological Association represents the profession of psychology in the State of Washington. It is recognized at the national level for both its success in legislative activism and professional support. WSPA constantly works to expand the parameters of psychology in our state, thus increasing the quality of our service to communities where psychologists live and work. As the representative voice for Psychology in Washington State, our organization addresses the full breadth of psychological professions by including over 400 members from private practice, governmental service, and academia.